Land Rover will show off their the 2016 Model Year Range Rover Evoque at the 2015 Geneva Motor Show, confirming rumours that the Range Rover Evoque Convertible will go into production. 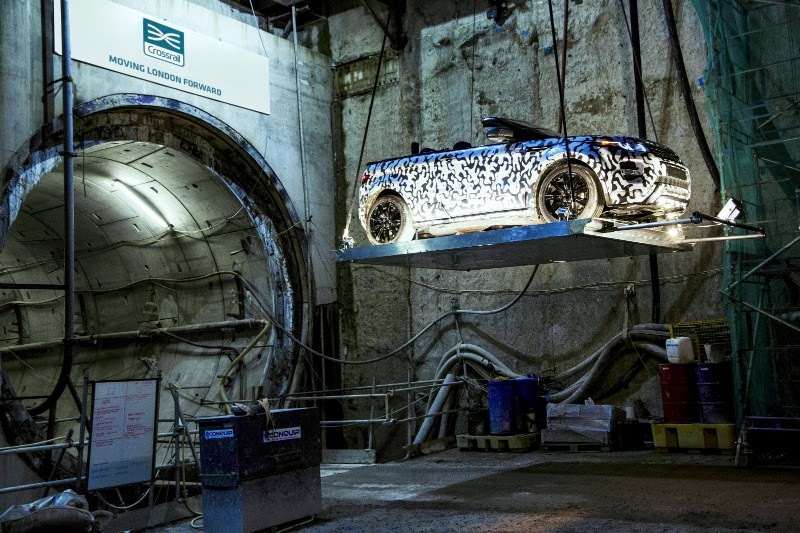 A video was recently released which features the disguised prototype of the compact SUV exploring the underground tunnels of London’s crossrail, which are still under construction. Price of the new Evoque is expected to be around £40,000.